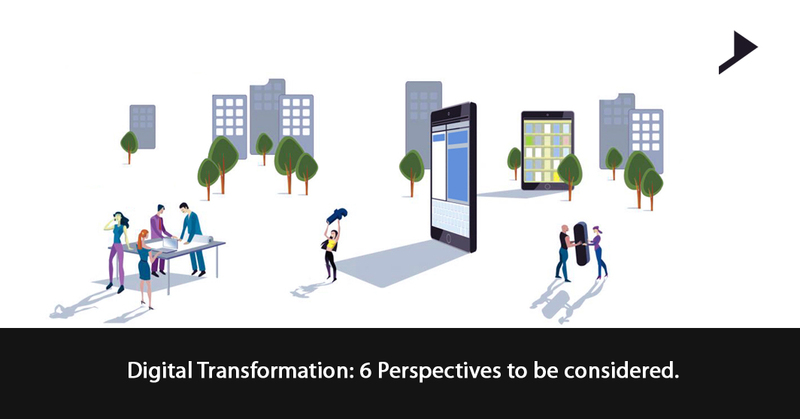 Digital Transformation: 6 Perspectives to be considered. Home / Advertising / Digital Transformation: 6 Perspectives to be considered. Digital Transformation: Do you really feel this is a novel concept? No right. But with vigorous changes taking place in the technology and the shift in consumer’s behaviour over past so many years, the need of transformation of the business is becoming very vital. Perhaps it can be said that the digital transformation is not a final destination but rather it’s a voyage. This is actually a never ending journey as consumers always embrace fresh ways of discovering, connecting and shopping with quicker adoption cycles every time. Tools of digitalization invades the business environment, provoking significant changes in the way companies work and sell their products. Now a days enhancement in the Digital Technologies is changing the face of business, which again accelerates and faster the pace of transformation in organizations. So what are the things a marketer has to do? How can a CMO evolve the techniques to keep up with the changing times, and how does marketing showcase a foremost specimen for holistic organizational change? These are the challenges which the digital marketing agencies face in the recent days. Digital Transformation is not just about innovations in technology and their disruption on the business rather it’s actually about how these technological innovations are used and adopted. Digital transformation is actually a business transformation. Marketers have to consider changes in the discipline within the context of overall changes in their business. Are you planning to be a marketer? Then here is the best time for you. The pace of this change presents both the challenges and opportunities. A distinctive curiosity and an approach towards continuous learning is the foundation of the success of this journey. Foremost brands are busy creating functions and activities into their process that drives discovery, experimentation and innovation. Different companies have their unique functionalities. Industries with direct relationships with the customers were interrupted earlier. Companies like CPG and health care did not face such disruption before but now they are gaining momentum. It’s valuable to look to other markets and industries for the lessons which can be applied for helping our clients. Various clients have seen that the pace of aggravation has extended the importance of change management. Digital Transformation ought to be administered both all over the association. For the era of the upfront investment and subsidizing from authority, our customers mostly put stock in tackling information and investigation to show productivity and enhanced execution which originates from the interests in the computerized channels. This can be used to make a smoldering stage inside the association that crystallizes moving client conduct, suggestions to the strength of the business and the condition of readiness of the association. For an enormous accomplishment in this technological era, technology and marketing leadership alongside their supporting organization need to meet up in phenomenal ways. Mutually understanding the business and marketing objectives and working together on building the right heap of innovations and organization to effectively convey against those objectives. Advertisers ought to build up a superior comprehension of the advancements and to comprehend the client practices and how showcasing can drive profit for organizations. Most of the marketing organizations today have a social media team, an analytics team, a website team, a content team and so on. Just moving forward companies have started using data to create a holistic view for the customer to think more broadly about the customer experience management. Digital transformation is always daunting and is imperative. Hence marketing leaders have to start thinking about their organizations design, culture and talent to ensure that they are set up to be successful in reality. What are your thoughts on digital business transformation? What challenges do you face? 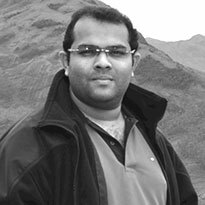 I am Ajay C Thomas, the Founder & CEO of Sweans Technologies Ltd, a Global Digital Agency specialized in Digital Marketing, Social Media, Branding & Web Designing Services offering proven results for various clients across the globe. Just gone through your blog. Amazing.